I wrote “Warau”. It means “Laugh” in English. 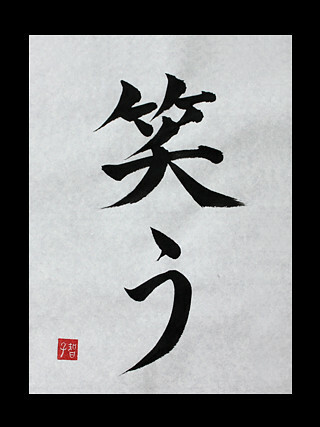 The Japanese proverb “Warau kado niha huku kitaru” contains “Warau“. This proverb to express in English, “Laugh and be fat” or “Fortune comes in by a merry gate“. What is your favorite word about a laugh? I’m waiting for a request.